The two have been together for 16 years. 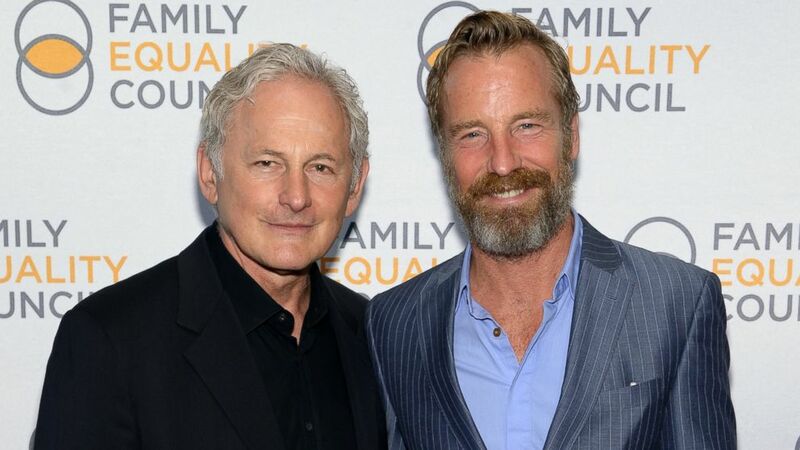 camera (Jamie McCarthy/Getty Images) Actor Victor Garber and artist Rainer Andreesen attend the Family Equality Council's 2014 Night at the Pier at Pier 60, May 12, 2014, in New York. Victor Garber has tied the knot with his longtime partner. The 66-year-old actor, who currently appears on the CW series "The Flash," married artist/model Rainer Andreesen in Tofino, Canada. They've been together for 16 years. Andreesen made the announcement over the weekend on Instagram, writing, "YES WE DID! #justgotmarried #elopedintofino #canada @therealvictorgarber #after16years." Added Garber on his Instagram page, "Wickaninnish Inn Tofino BC magical place to tie the knot. @rainerarts." Garber, whose credits also include "Titanic," "Argo" and TV's "Alias," came out as gay in 2013.